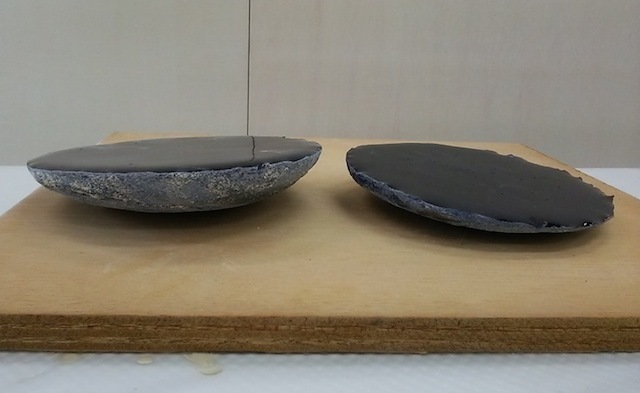 磁器製の挽き臼　／　The porcelain quern. The porcelain quern was fired at last. When I stared my ceramic painting 16 years ago, I used to grind ceramic with mortar and pestle. Then I made a quern with two iron plates to get more powder faster. 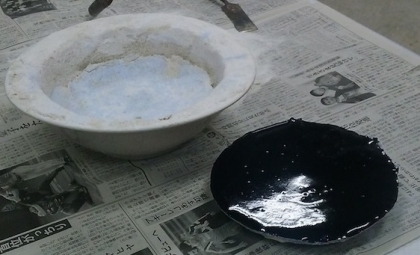 But the iron contaminates and changes the color of ceramic powder slightly. 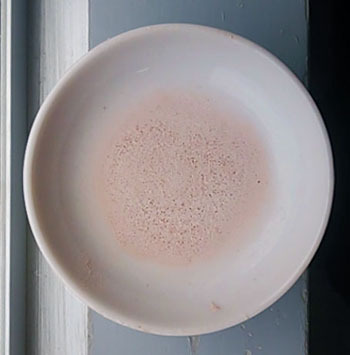 So I made the quern with porcelain, same material as a mortar and pestle. 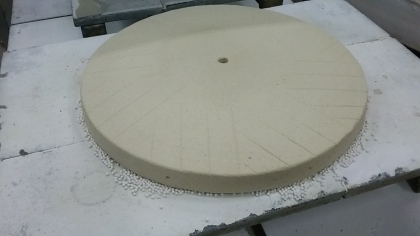 The porcelain quern 36 cm in diameter, is not easy to make.I never seen it before. 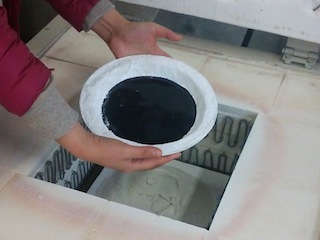 For all the processes, designing, modeling,　plaster mold、casting, firing in low and high temperature, it took for half a year. 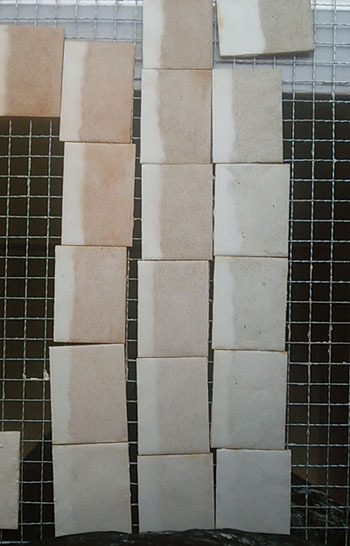 I got 3 sets of querns, with 3 types of porcelain clay. I need some more adjustment for practical use. 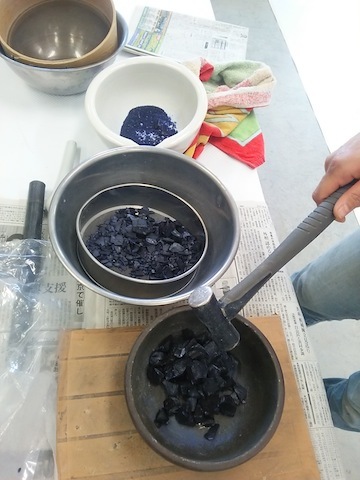 Making a new color of ceramic powder. I poured the dark blue glaze into the mold and fired in high temperature to make the 100% of glaze plate. 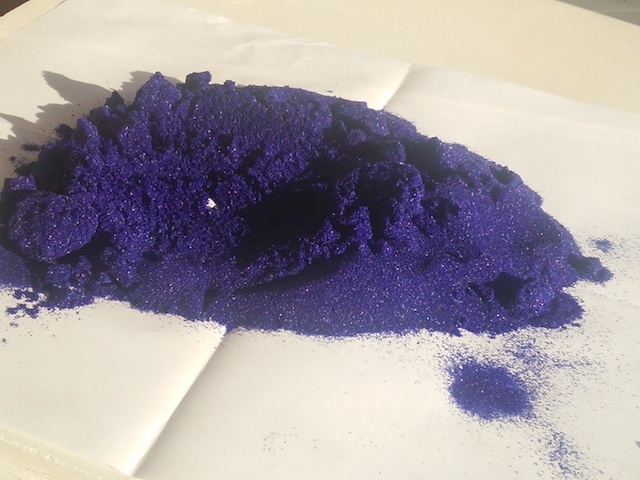 I grind it into powder and got a new blue ceramic powder for my painting. 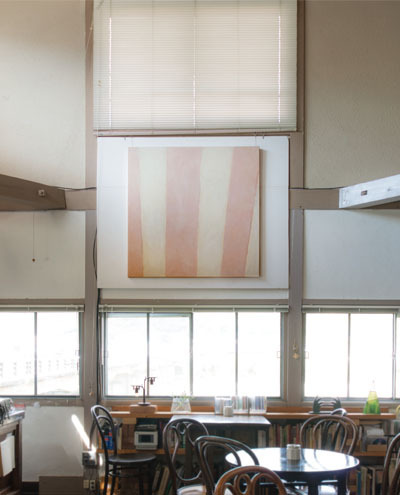 powder paintings titled Kamo River below. 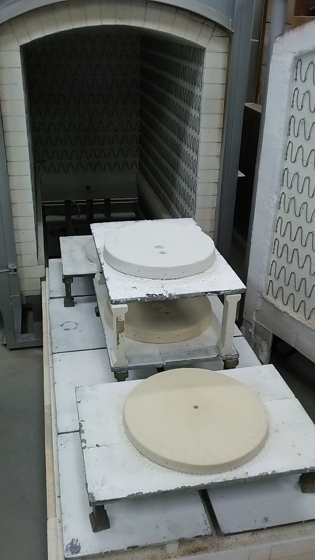 temperatures and mixed with white ceramic powder in some blend ratios. I've started to paint the new type of Ibo River for 2015.